Rums have gotten, over the decades and centuries, rather civilized. Sweaty muscular beefcakes like the SMWS Longpond 9 81.3% and the Bacardi 151 always exist, of course, accompanied by more uncouth and less cultured rums even than that, made less for export than for local consumption…but for the most part, what we get is soft, soothing, decent, well padded. This 46% rum, however, made by those genteel fellows in England, Berry Brothers and Rudd, was none of these things…which, when you recall the near-brilliant 1975 Port Mourant they also made, is kind of odd. Civilized? Nope. Smooth? Not really. Calming, easy on the nose? Don’t make me laugh. Berry Brothers have done something rather amazingly insane, or stupefyingly stupid depending on your viewpoint, with this Fijian product. They’ve made it a raw, nasty, brutish, ugly, foul tasting kill divil that I dunno, should be used to scour the paint job off your souped up Ford F150. Or maybe fuel it. You think I’m kidding, right? Yeah…but no. Some time ago I reviewed the SMWS Longpond 9, and the Rum Nation Demerara 23 and the Jamaica 25 year old. All three of these had rubbery, almost medicinal notes to them that were initially somewhat disconcerting, but eventually melded into a unique whole I could not help but appreciate. The off-notes I didn’t care for were relatively subdued and well integrated into a fascinating synthesis. No such feeling swept over me as my brother and I nosed the Berry Brothers & Rudd Fijian 8 year old. Because in this case, raw plasticine and rubber notes were so powerful, that I felt a Bugatti had just peeled out of the shop, leaving a black strip on the pavement a mile wide. Medicinal, turpentine, paint thinner was what you got on that nose. Iodine, seaweed, brine, salt biscuits. And then more burnt rubber. They held a commanding stance from the outset, and never let go. Yes there were also timid, trembling scents of grassy and herbal aromas that crept in as if afraid to be noticed; yes, if you paid attention you would get apple cider and perhaps a flirt of not quite ripe pineapple. But it was small consolation. You had to try too hard. They were shouldered aside and squashed flat. To taste, it was heated and spicy, as befitted a stronger product, and it was reasonably smooth, not raw and clawing, so no issues there. Hay-blonde, quite light, somewhat thin and clear and clean on the tongue. I was kind of suckered in by some lazy background notes of freshly-sawn white wood of some kind, bananas, softer pineapple and an even fainter grassy-green floral note that developed over time, but then the uncompromising rubber returned. Merde, but this was unpleasant. Iodine, seaweed, some peat (I kid you not) mixed it up in the schoolyard with an overweight bully of peeling rubber, turpentine and styrofoam. It’s like I was trying to sample a neoprene suit left behind on the set of “Debbie Does Dallas.” I can concede without hesitation that the texture was pretty good, it felt physically pleasant in the mouth, and the finish was medium long and heated (and may have been the best thing about it, perhaps because we could now see an end to the experience). But I simply don’t appreciate a rum that is redolent of the freshly torn plastic coming off new, over-polished wooden furniture. So, with all due apologies to BBR (who have made other rums I really enjoyed), this is not a rum I cared for. I asked a dedicated maltster whether, given the profile I described, he would buy it (for $75, which is what I paid), and he said probably, so it may work better for Islay-lovers than it did for me. The thing is, underneath the taste is the texture, and in that texture and mouthfeel you can sense the rum this could have been had it been toned down a bit, perhaps been a bit sweeter (and this is why I scored it as I have). I always thought the Renegades were inconsistent and made by — and perhaps for — whisky lovers, and here we have another in that vein, something of a harnessed lunatic, loud and uncouth and unrefined as a fading rock star’s leopard-skin trousers. It probably won’t sell much, but you know, I do have a kind of sneaking admiration for the concept, much as I shudder at the taste. It takes a certain kind of guts to make a rum that tastes so crazily off base as to appeal to not just the 1%, but the 1% of that 1% who would welcome the adventure, appreciate the uniqueness and throw caution to the winds when drinking it. Because, for sure, there are very few rums in my whole experience which are anything like this Fijian popskull. Just be warned – It’s an absolute animal of a drink to have if you’re not prepared. As is usual with craft bottlings such as this one, I could not find much information on the source. However, since there really is only one distillery on Fiji (the South Pacific Distillery, which makes the seemingly well-regarded Bounty brand), it seems reasonable to suppose that the raw stock comes from there. In what barrels it was aged and in which country, is something I’m currently still researching. Given the light and clean profile, I will hazard that the distillate comes from sugar cane juice (like an agricole) and not from molasses, and is probably a column still product. Still, these are merely my conjectures, so if a reader has more info, please post a remark. 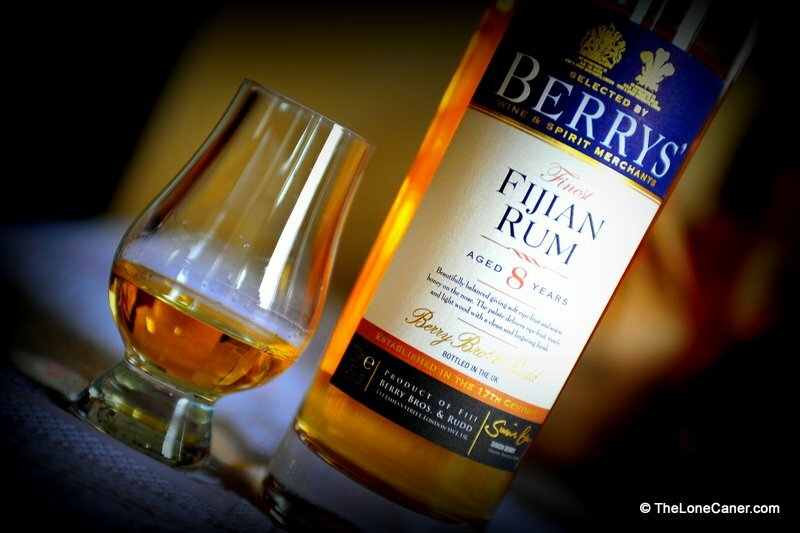 I notice that there are nine and ten year old Fijian rums made by BBR as well. I hope the taste of this one was an exception. I’ll probably buy more if they come across my path, because it would be wrong to judge all Fijians just by one example. You and all my friends. Still, I had a suspicion that whisky aficionados (Islay lovers in particular) would probably appreciate this more than I did, precisely because of that taste.